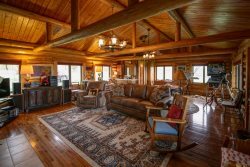 Saddleridge Family Retreat is the perfect boutique Big Sky ski-in/ski-out condo! This newly renovated and well appointed 3 bedroom home is awaiting you for your next Big Sky Escape! Located within the Moonlight base area is the Saddleridge ski-in/ski-out condo complex and it is the perfect blend of convenience and value. Great for large families and after a day of adventure you can relax in the private hot tub and take in the amazing views of the Spanish peaks. Dogs Welcome and this property does not have access to the private lodge at Moonlight.